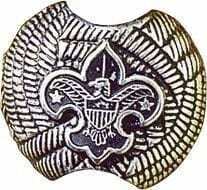 The official neckerchief slide of the Scouts BSA group. 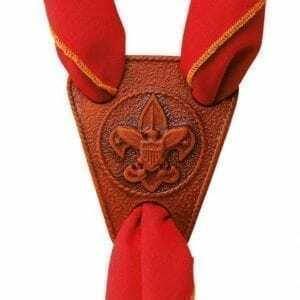 This metal slide is a part of the traditional Scouts uniform. The silver slide showcases the Boy Scouts of America logo and is worn with a Scouts BSA or custom troop neckerchief. Each troop makes the decision on whether this is a part of its required uniform.